Egypt’s Vodafone, has been granted a license to offer mobile money services to its subscribers. 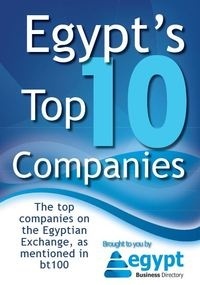 The telecom operator is currently waiting for the Egyptian military rulers to approve the business deal. Egypt is planning to strengthen the country’s mobile sector, following a government protest earlier this year. “We are ready to press the botton when we get clearance on the security situation from the National Telecom Regulatory Authority,” says Hatem Dowidar, Vodafone Egypt CEO. He was referring to the ongoing security upheaval that has hit Egypt since late January, when 18 days of protests took down the former government. The economy, and the telecom sector, has been hit hard, but analysts are confident that these new opportunities will get through security quicker than expected. “We are looking at the need for mobile money to come to Egypt. It has been too long and other countries in Africa are beating us to the punch,” said Adel el-Aswani, a telecom analyst in Cairo. He said that the country needs these new opportunities to show foreign investors that Egypt is ready to take things to the next level. “With this and other telecom and technology investments and activities, we are certain to be able to create a place that is perfect for investors,” he added.